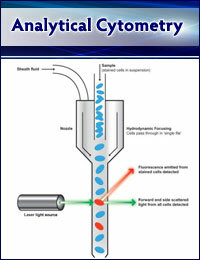 Cytometry can rapidly provide quantitative information regarding a wide variety of cellular properties, including DNA content; expression of surface, cytoplasmic, and nuclear antigens; receptor-ligand interactions; chromosome analysis; phagocytosis; target-effector cell binding; ion fluxes; expression of genes or gene products; and various light scattering properties. Thus, flow cytometry is extremely useful for a broad range of basic research projects as well as clinical monitoring studies. Basic and advanced training in the use of all facility cytometers is offered continuously. Facility is available to trained users 24 hours a day, seven days a week. 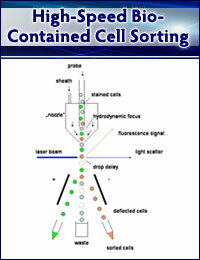 High speed workstations are equipped with a selection of cytometry analysis programs. Facility is operated as a BSL-2+ facility. Can sort live human cells and cells transfected with retroviral constructs. Consult on experimental design, analysis and assay development, which is available to Hillman investigators without charge.